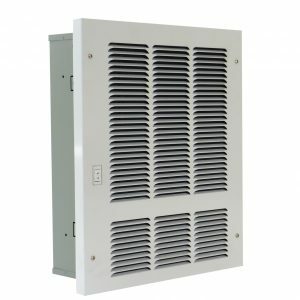 King’s HT Series Kickspace hydronic heater uses the energy from a building’s existing hot water source to offer efficient, whisper quiet operation and the ability to reduce utility bills with individual room control. By installing hydronic heaters in every room, you can easily heat only the areas in use and conserve energy. 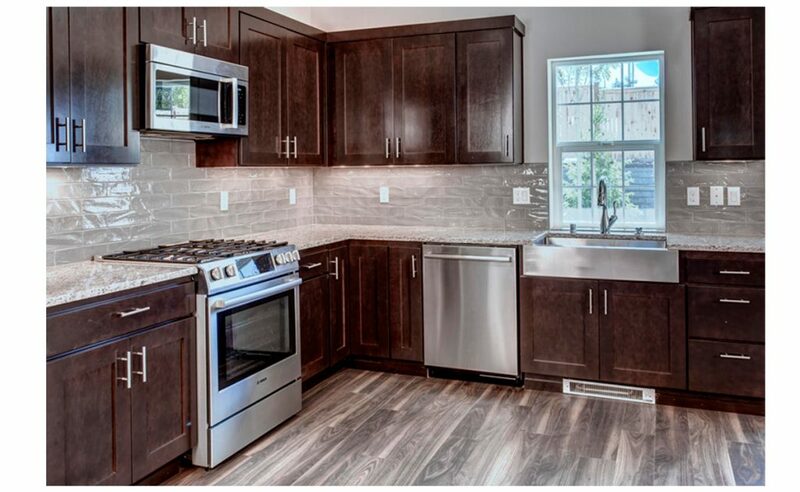 Uniquely designed to add heat to areas of the home previously thought not possible. 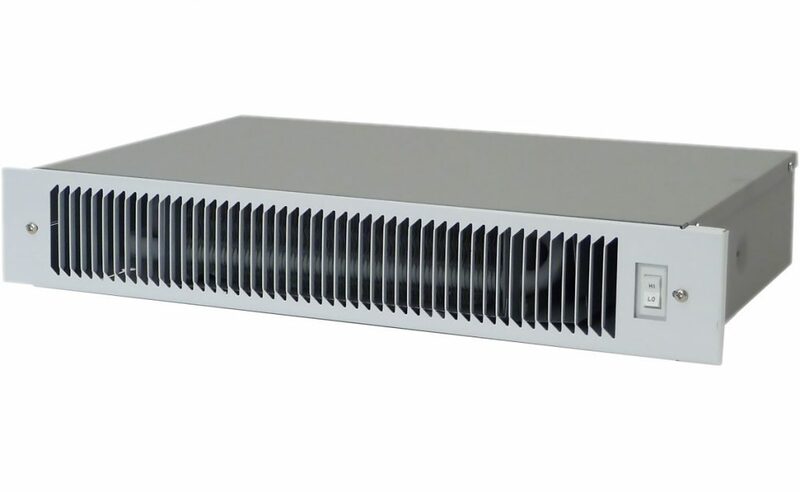 With a compact, space-saving design the HT heater can be inconspicuously installed in the kick-space area at the base of kitchen and bathroom cabinets, under window sills or even in stair risers, providing warmth and comfort to formerly troublesome areas. 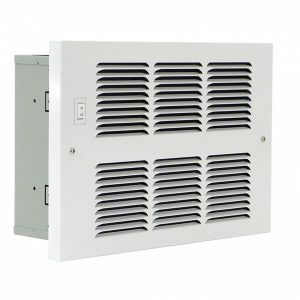 Provides 1700 to 9950 BTU heat output. 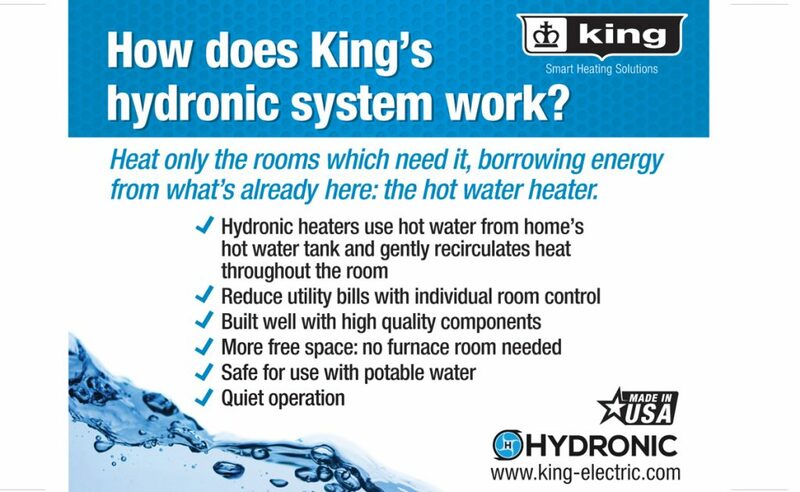 * Aqua Stat not required when using a King HW series hydronic thermostat with fan start-up delay. In-built Aqua Stat (AS) is available, consult factory for price and availability. Coils are made of copper alloy 122 manufactured to ATSM B-75 specifications. Brazing alloy is AWS-BCUP2 for use with potable water systems. Electrical circuit size: 15 amp maximum. BTU ratings based on 68˚ entering air. To calculate 1 GPM, multiply by 0.95. To calculate 4 GPM, multiply by 1.05. Grille colors available in White (-GW) or Black (-GB) or Almond (-GA). 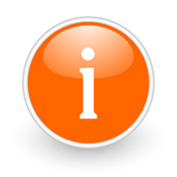 Add suffix to end of model number. 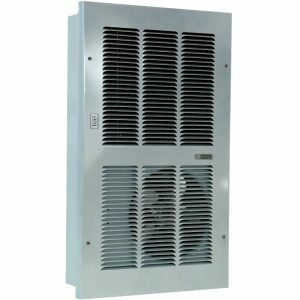 Contractor shall supply and install H Series hydronic fan heaters manufactured by King Electrical Mfg. Co., Seattle, Washington. Blower: Tangential blower to provide 83 CFM or 76 CFM of air. Quiet operation of less than 53 dB A weighted scale at high speed. Easily removed for service. Bronze, not plastic, bearings. Coils: 1/2″ trade size Copper tubes with Aluminum fins of no more than 4 fins per inch for free flow of air and maximum circulation of air and water. Tested at 300 PSI for leaks. Bleed valve to purge air. Copper tube used in coils is Alloy 122 made to ASTM B-75 specifications. Grill: 20 gauge mild Steel, louvered with Nickel-plated grill screws. Powder-coated in white. Water Connections: 5/8″ bare Copper tubes de-burred. Tested at 300 PSI for leaks. Clean out tubes for water connection. 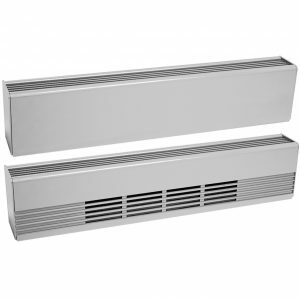 Approvals: cETLus. . All King heaters are tested to UL 1995 Standards. Approved for USA and Canada. CSA/C22.2.